Three ways to test for added assurance. When testing for pregnancy you want to be sure. That’s why we’ve included three unique tests all in one box. Each test offers a different way to learn your result so when the time comes, you feel as confident as possible. The first few weeks of pregnancy are critical to fetal development, so early prenatal care is important for a healthy birth weight and the baby’s survival. The sooner you know you’re pregnant, the sooner you can begin making healthy pregnancy choices for yourself and your baby that include diet, nutrition and limiting your exposure to hazards. Things to Know About Testing Early...Some pregnant women may not have detectable amounts of the pregnancy hormone in their urine on the day they use the test. The amount of pregnancy hormone increases as the pregnancy progresses. 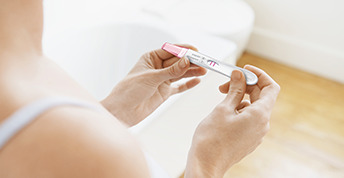 In laboratory testing, FIRST RESPONSE™ detected the pregnancy hormone levels in 76% of pregnant women, 5 days before their expected period; in 96% of pregnant women, 4 days before their expected period; in >99% of pregnant women, 3 days before their expected period; in >99% of pregnant women, 2 days before their expected period; in >99% of pregnant women, 1 day before their expected period; and in >99% of pregnant women, on the day of their expected period. Read full details and instructions before taking test, click here. Then, remove test stick from wrapper and take off the Overcap. Hold stick by Thumb Grip, with the Absorbent Tip pointed down, and the Result Window facing away from body. Place Absorbent Tip into your urine stream for 5 seconds only. Collect urine in a clean, dry cup. Dip the entire Absorbent Tip into urine for 5 seconds only. Read full details and instructions before taking test,click here. Then, remove test stick from wrapper and take off the Overcap. IMPORTANT NOTE: DO NOT OPEN WRAPPER UNTIL READY TO USE. THIS DEVICE SELF ACTIVATES WHEN THE WRAPPER IS OPENED. WITH THE WRAPPER REMOVED, YOU SHOULD SEE A STEADY CLOCK SYMBOL ON THE DISPLAY SCREEN. IF SO, THEN THE DEVICE IS READY FOR USE. Collect urine in a clean, dry cup. Dip the entire Absorbent Tip into urine for 20 seconds only. While holding stick with Absorbent Tip pointed down, put Overcap back on. Place stick on a flat, dry surface, Result Window facing up. The pink color moving across the Result Window means the test is working. Wait 3 minutes before reading result. CAUTION: Although you may not be pregnant, it could also be too early to tell. For instance, your urine may not have enough of the pregnancy hormone to be detected yet. If you do not get your period within 7 days, retest with another FIRST RESPONSE™ Early Result Pregnancy Test. If you receive another Not Pregnant result and your period still hasn’t started, call your healthcare professional. After about 3 minutes, an unmistakable “YES+” or “NO-” appears on the Display Screen. “YES+” shows on the Display Screen. This means that the pregnancy hormone (hCG) was detected. “NO-” shows on the Display Screen. This means no pregnancy hormone (hCG) was detected at this time. CAUTION: Although you may not be pregnant, it could also be too early to tell. For instance, your urine may not have enough of the pregnancy hormone to be detected, yet. If you do not get your period within 7 days, retest with another FIRST RESPONSE™ Gold Digital Pregnancy Test. If you receive another Not Pregnant result and your period still hasn’t started, call your healthcare professional. How do the FIRST RESPONSE™ Pregnancy Tests work? The tests detect human chorionic gonadotropin (hCG) in urine. hCG is the hormone your body produces during pregnancy. 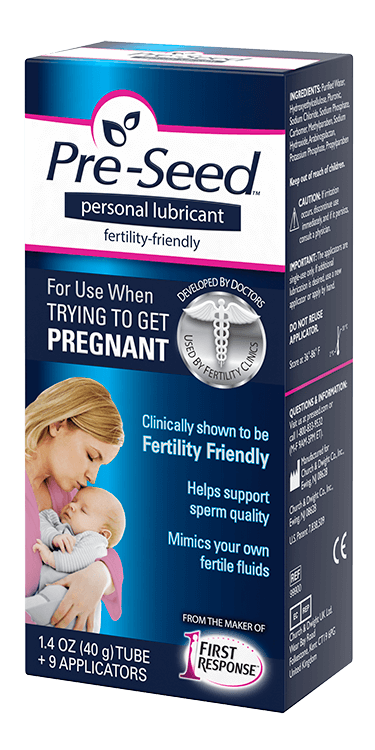 When can I test with FIRST RESPONSE™ Early Result Pregnancy Test? FIRST RESPONSE™ is >99% accurate from the day of the expected period in laboratory studies. However, some pregnant women may not have detectable amounts of pregnancy hormone in their urine on the day of the test or may have miscalculated the first day of their period. A positive (pregnant) test result shows that the pregnancy hormone (hCG) was detected, which normally indicates pregnancy. You must see your doctor to confirm that you are pregnant. If you test positive, but think you may not be pregnant, you should check with your doctor. You may not be pregnant, or it may be too early to tell. If you do not get your period within 7 days, you should retest with another FIRST RESPONSE™ Early Result Pregnancy Test. It is possible that you miscalculated the length of your cycle, or your urine may not have had enough pregnancy hormone for the test to give you a positive result. If upon retesting you get another negative result and your period has still not started, you should call your doctor. I have waited longer than 3 minutes, and still there are no lines in the Result Window. Is there anything wrong? Your result should appear within 3 minutes. There should be at least one pink line in the Result Window at 3 minutes to indicate that the test is completed and you have done it correctly. If not, the test is invalid. This could be due to insufficient urine on the Absorbent Tip or not holding the device with the Absorbent Tip pointing downward while replacing the Overcap. You should retest with another device, carefully following all directions. The test result should be read as soon as possible after waiting the 3 minutes. A negative result should not be read after 10 minutes. Only medications containing the pregnancy hormone (hCG) can affect the result (for example, A.P.L.4, Pregnyl5, Profasi6 and Pergonal6). The test should not be affected by hormone therapies containing: Clomiphene citrate (for example Clomid7 and Serophene6); alcohol; antibiotics; or the contraceptive pill. 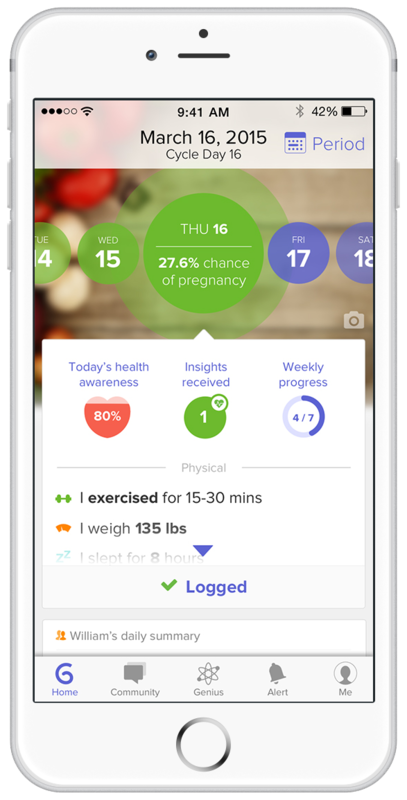 When can I test with FIRST RESPONSE Gold™ Digital Pregnancy Test? What do I do if the result on the Display Screen is "YES+" (pregnant)? What do I do if the result on the Display Screen is "No-" (not pregnant)? You may not be pregnant, or it may be too early to tell. If you do not get your period within 7 days, you should retest with another FIRST RESPONSE™ Pregnancy Test. It is possible that you miscalculated the length of your cycle, or your urine may not have had enough pregnancy hormone for the test to give you a positive result. If upon retesting you get another negative result and your period has still not started, you should call your doctor. The blinking clock has disappeared followed by a "?" on the Display Screen. What does this mean? A "?" symbol indicates an error has occurred during testing. You should retest with another FIRST RESPONSE Gold™ Digital Pregnancy Test, carefully following all directions. If the display screen goes blank at any time before yielding a result, an error has occurred. You should retest with another FIRST RESPONSE Gold™ Digital Pregnancy Test, carefully following all directions. Your result will be displayed for at least 30 minutes. Read your results within this timeframe. Once you have read your result, discard the stick. Some splashing while using the test will not damage the test, but if it becomes very wet it can become damaged. If the test becomes damaged, the Display Screen will either go blank or an error "?" message will appear. I removed the device from the wrapper and the clock symbol appeared on the Display Screen, but I'm not ready to use the test. What should I do? How does the FIRST RESPONSE™ Rapid Result Pregnancy Test work? The test detects human chorionic gonadotropin (hCG) in urine. hCG is the hormone your body makes during pregnancy. The amount of pregnancy hormone increases as pregnancy progresses. When can I test with FIRST RESPONSE™ Rapid Result Pregnancy Test? At any time of the day. You do not have to use first morning urine. Generally, however, your first morning urine contains the highest level of the pregnancy hormone. You can use the FIRST RESPONSE™ Rapid Result Pregnancy Test on the day of your missed period, or any day thereafter. How accurate is the FIRST RESPONSE™ Rapid Result Pregnancy Test? In studies of urine samples representative of both pregnant and non-pregnant subjects, laboratory technicians obtained the correct expected result in more than 99%* of the samples. *99% accurate at detecting the pregnancy hormone. However, some pregnant women may not have detectable amounts of pregnancy hormone in their urine on the first day of the missed period, or may have miscalculated the first day of their period. I have waited longer than 1 minute, and there are still no lines in the Result Window. Is there anything wrong? Your result should appear within 1 minute on the day of your missed period. There should be at least one pink line in the Result Window at 5 minutes to indicate that the test is completed and you have done it correctly. If not, the test is invalid. This could be due to insufficient urine on the Absorbent Tip or not holding the device with the Absorbent Tip pointing downward while replacing the Overcap. You should retest with another FIRST RESPONSE™ Rapid Result Pregnancy Test, carefully following all directions. The test result should be read as soon as possible after waiting 1 minute. A positive result will last for at least 48 hours. A negative result should not be read after 10 minutes. Only medications containing the pregnancy hormone (hCG) can affect the result (e.g., A.P.L.4, Pregnyl5, Profasi6 and Pergonal6). The test should not be affected by hormone therapies containing: Clomiphene citrate (e.g., Clomid7 and Serophene6); alcohol; painkillers; antibiotics; or the contraceptive pill. 1FIRST RESPONSE Early Result and Gold™ Digital detects the pregnancy hormone 6 days sooner than the day of your missed period (5 days before the day of expected period). See package for details about testing early. 299% accurate at detecting typical pregnancy hormone levels. 3FIRST RESPONSE Early Result and Gold™ Digital detects all of the major pregnancy hormone forms commonly found in urine. Note hormone levels vary. See insert. 4Minkin MJ. Embryonic development and pregnancy test sensitivity: the importance of earlier pregnancy detection. Women's Health (Lond Engl). 2009 Nov, 5(6):659-67.